Collector’s Club Member rejoice! 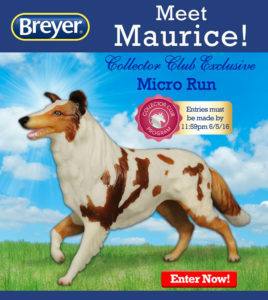 Breyer just released another Exclusive Micro Run. This time it is the #430037 Breyer Maurice. 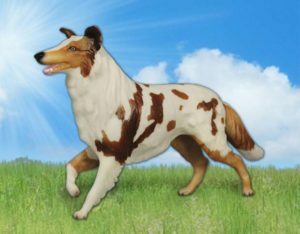 He is the old Lassie mold in red and white. Maurice’s run is limited to 40 pieces. Collector’s Club members may enter once a day starting on June 2nd and ending on June 5th. Maurice’s price is $175 plus postage. I really Maurice and will be entering for him. How about you? Meet Maurice, a collie/cattle dog cross! His beautiful red and white coat sets off his blue eyes and eager expression. 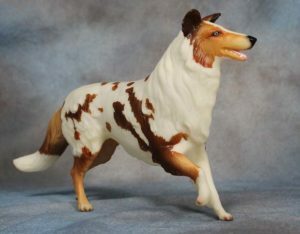 Breyer’s “Lassie” was first introduced in the late 1950’s and has made only the occasional appearance in the Breyer line up. This super rare micro run will be available to only 40 lucky winners! 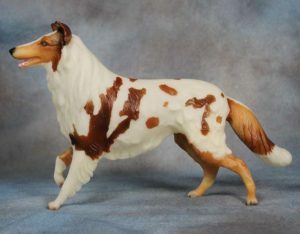 #65 Lassie was chestnut and white. 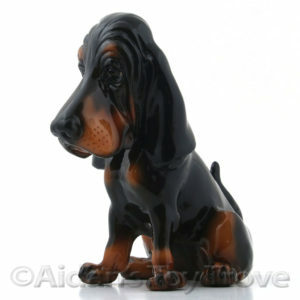 He was produced from 1968 – 1965. #702691 Jester was produced in a brown tricolor. 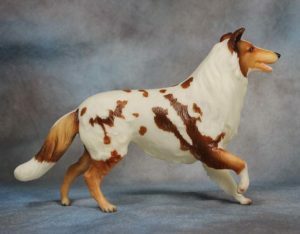 He was a 2001 BreyerFest Tent Special Run and was limited to 600 pieces. 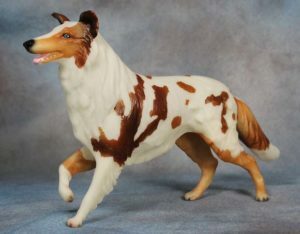 Interestingly, I have had no models on the Lassie mold pass through my store. You can find pictures on ID Your Breyer. 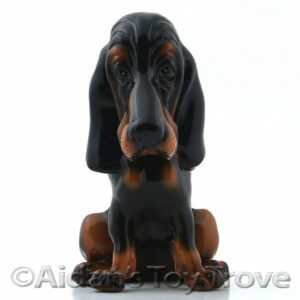 I have the Collector’s Club Exclusive Micro Run #430034 Dugan on the Bassett Hound mold available for sale. 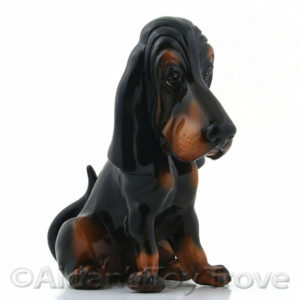 You can find him on my website. Like Maurice, Dugan was limited to 40 pieces. « Breyer Brunello and the 2016 Mid-Year Releases!